Waheeey! 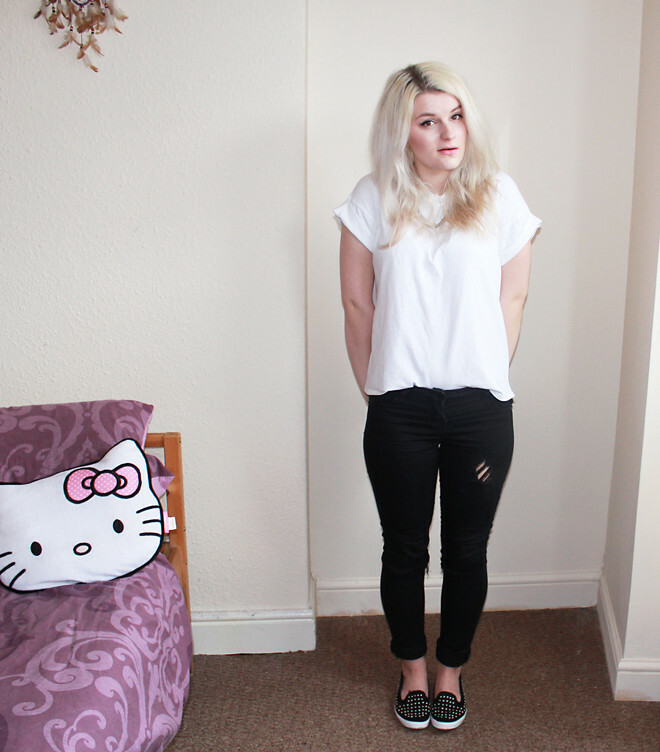 I hacked away at some denim! I've even recorded a 'how to' video for this one. Basically, since buying my Joni jeans, these Internacionale jeans have become a bit redundant. So to give them a new lease of life, I decided to snip some holes in the knees and distressed them a little. Apparently, it's all the rage at the moment - well, Topshop are selling them anyway.. for a hefty £40. But if you've got some old jeans this is obviously free (although, I did have to go out and buy a grater... watch the video if that's confused you ha!). It's my first go at a DIY vid so apologies that my hair gets in the way at some (vital) points.. oops. If there's anything I forgot to mention or if you have any questions, let me know :) but it's seriosuly quick and easy to do (as you can probably guess, haha!). "No you don't get to watch me change." - classic! Hahaha. Yesss do it :) It's fun :D!!! Haha I'm glad you enjoy my oddness. I don't think so! Just same old me haha :P Not guna lie I eat really badly and don't exercise haha I just have a good metabolism! Haha just like my grating at the top!? Bit excessive haha! Congrats! I voted for you. Really loving your blog and your DIY video! Keep it up, Robyn! Ooooh thank you for doing this, I saw the perfect pair of ripped jeans a few years ago in the topshop sale and didn't get them- regretted it ever since! Love your jeans! I voted for you good luck! this is such a lovely casual outfit! 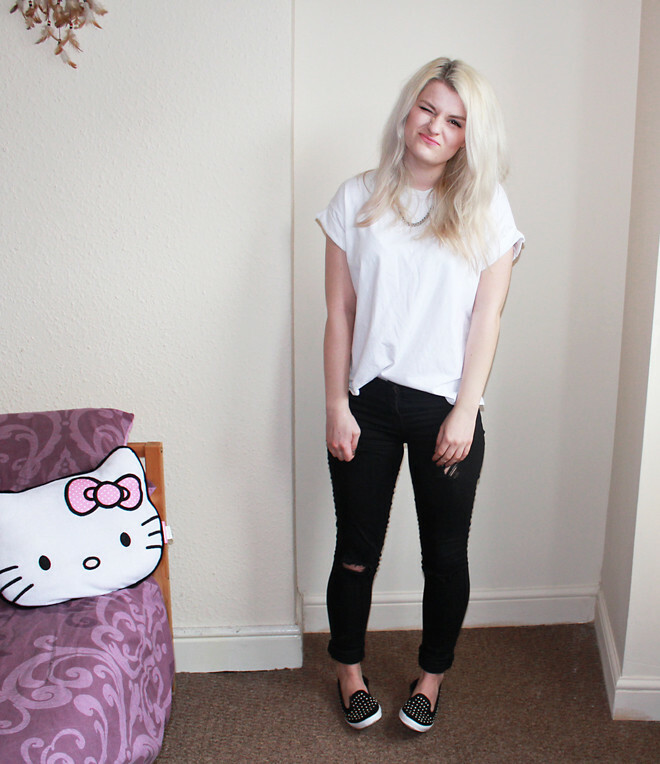 totally loving your ripped jeans and studded slip ons! P.S. it'll be great if you'd check out my Fashion Week outfit post!